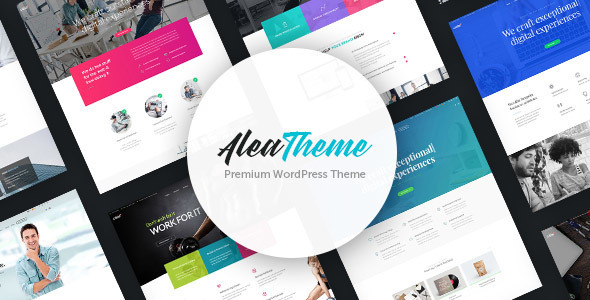 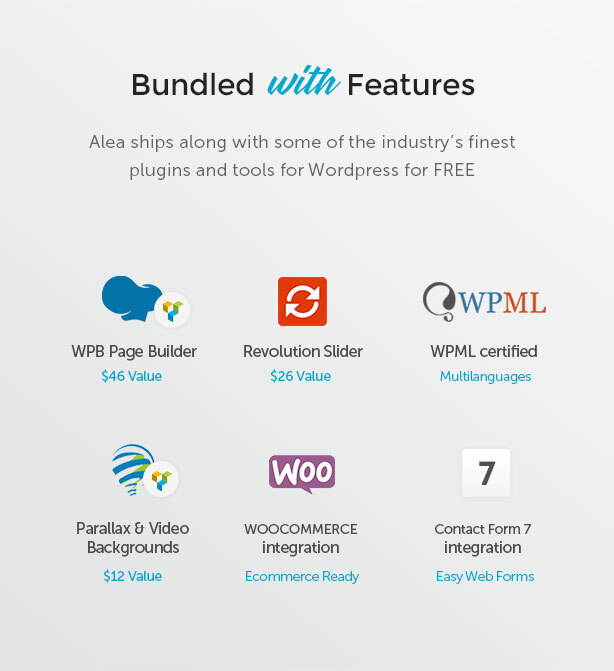 Alea is a clean, modern, multi-purpose, business WordPress theme that lets you build beautiful websites in virtually no time. 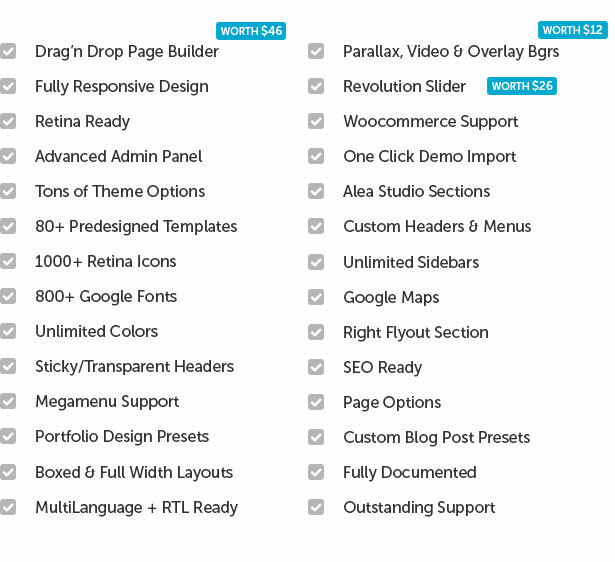 The theme is extremely feature-rich and powerful, yet easy to manage, customize and create content with. 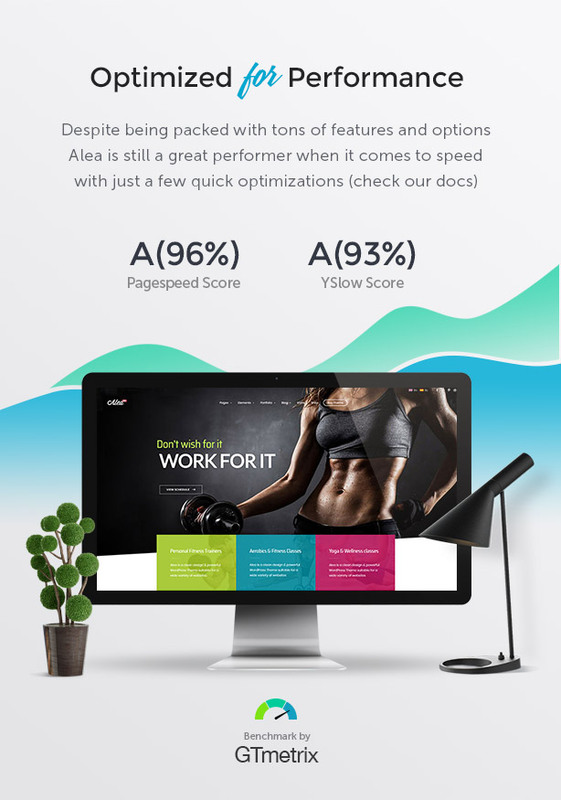 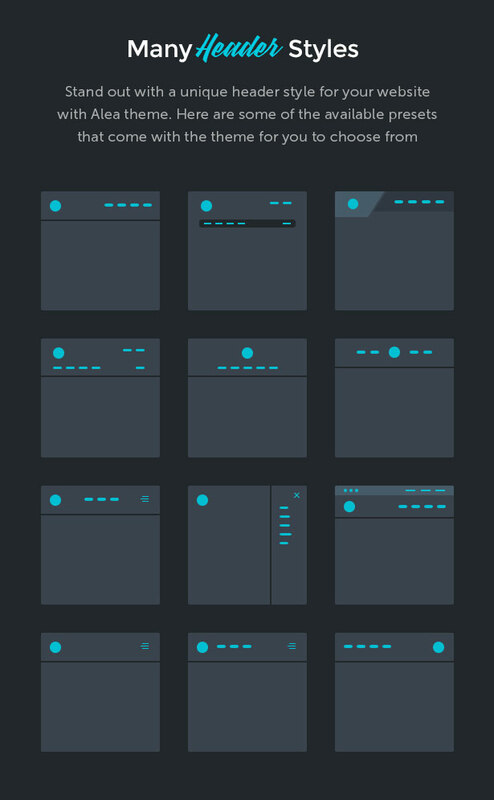 Using its integrated Page Builder elements and layout presets you get unlimited freedom in page design and customization, with no coding skills required. 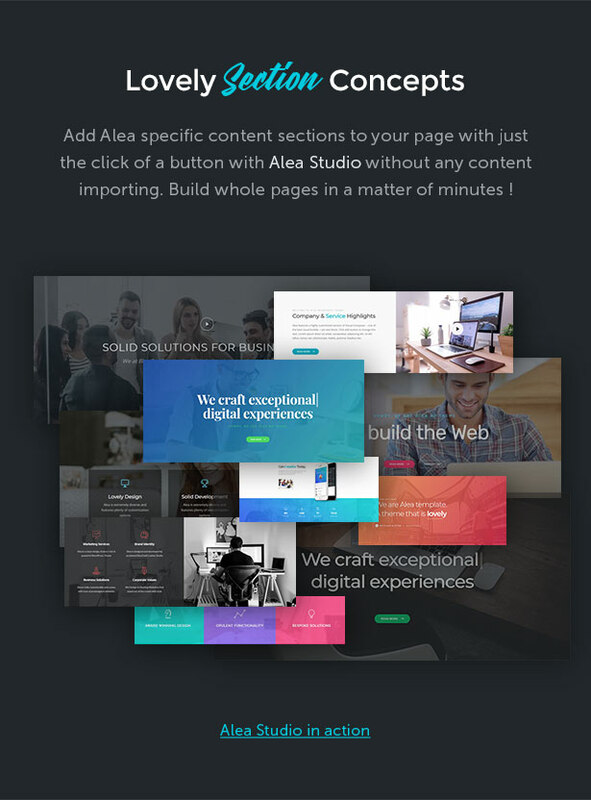 Alea offers more than 80 pre-designed page concepts and is boosted with plenty of elements, features & customization options: a tailored version of WPBakery Page Builder, Revolution Slider, Parallax and Video Backgrounds, Alea studio page blocks, custom headers and menus, custom layer Overlays, custom Blog templates, custom Portfolio templates, seamless Woocommerce integration and many more. 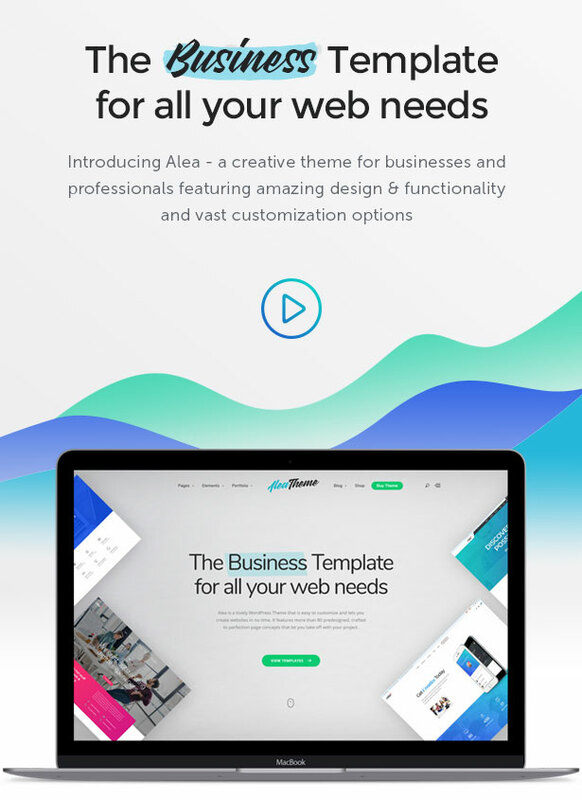 Create lovely & smart websites faster!